The world of construction is an industry that has notoriously failed to attract women, even within the roles that are deemed less physical. 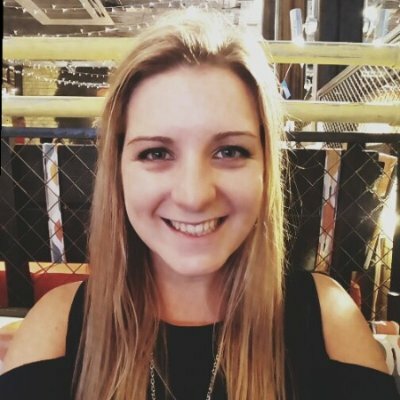 Given the changing attitudes towards gender equality, we caught up with former student Katie Slaney (nee Walter), a Façade Construction Manager for construction company Speedclad, and one of the women playing her part to change the face of a historically male-dominated environment. Deputy Head Girl at Worksop College, Katie was a member of Gibbs (06-11), after completing her junior years at Ranby House. 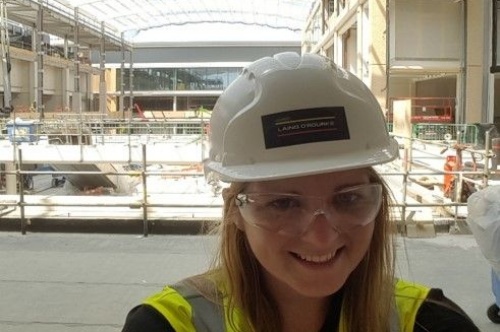 Upon leaving school, Katie went on to study Mechanical Engineering at Hull University, where she graduated with a 1st Class Honours Degree, before completing a part-time Masters in Construction Project Management at Sheffield Hallam University, whilst simultaneously forging a successful career in the construction industry. With the male: female ratio in construction pretty low, what made you decide upon a career in the industry? I have always been interested in pursuing a career which was more than just sitting behind a desk, I believe this was from spending the majority of my holidays outside on my parents’ family farm, helping out from parting fences at 10 years old to running the weight bridge at 16. From initially choosing engineering, I then chose a Project Management Graduate programme, and from there have progressed through the ranks from a Project Co-ordinator, to Project Manager, to Construction Manager - where I am today. What role did your time at Ranby House and Worksop College play in where you are today? I feel that during my time at Ranby and Worksop, whether you were male or female, there were never any boundaries; this made my outlook different to many of my other peers. This meant that even though many people would associate an Engineering Degree or the construction industry with a male career choice, I never considered it that way. I also feel that through the events and functions at Worksop College, I felt confident to talk to older and more successful individuals both in interviews, on-site and in the working environment which have helped me break the boundaries of the industry. Why do you think construction is an industry that struggles to attract women? The construction industry is still very sexist in its attitudes to women, especially at a site level. An example of this is there is often only one female toilet on site - which is either locked, in the main contractor’s office or used as a cleaning cupboard. Also, the construction industry, at a site level, is still nearly 100% male which can be daunting, I have been on a large construction site where there has been 1000+ men and under ten females, that is less than 1%! But saying that, until it becomes more common to see women on-site I don't think the comments will stop. Also, it is not a very glamorous job, as a hi-vis vest, hard hat and safety boots are never going to win any fashion awards. Saying that, when I am not on-site, I will wear dresses and heels to the office or supplier meetings, as I feel is it’s extremely important to be yourself even in a male environment. The industry needs to focus on getting females involved at an early age (15 & 16) so that they can make the right career choices at an earlier stage. 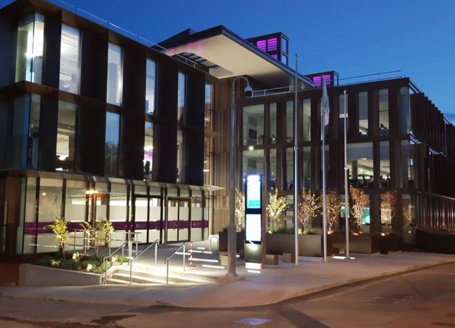 As a Construction Manager, I am involved in the facade element of a project; from the final stages of a tender process to when we hand over a completed element of a project. 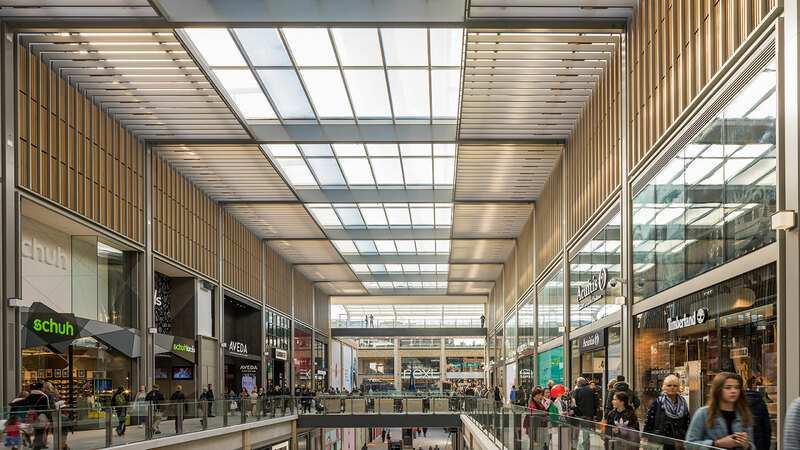 This means managing the design, procurement, manufacture, and installation of our element of works - at Speedclad that involves the glazing and glass door elements. In order to complete these elements, I will attend pre-let meetings, design meetings, supplier meetings, programme meetings and site progress meetings, as well as weekly internal review meetings. The involvement can be very hands-on, but it means that I understand the whole process of the project, so can make the required decisions with knowledge of all elements. Whose responsibility is it to educate women on the opportunities available within the industry? I think it is everyone's responsibility, from teachers in a classroom to parents when talking about career options, even down to the media and how they portray the construction industry. Until it is seen as ‘the norm’ for a female to become a Site Manager in construction, I think we all need to push forward opportunities for girls to be exposed to careers in the industry. What would you say to any women considering a career in construction? I would say that she needs to enter the industry with her eyes open! The industry is not perfect, it has its flaws and will not change overnight. She may encounter situations where comments are made, but I can promise her for every comment which is made there will be two or three times when she will change someone’s opinion on females in the industry or prove someone wrong. I can honestly say there is no better feeling than when someone assumes you are only in the meeting to make tea or take notes, for it to turn out you are the manager who called the meeting to talk about their issues on site! Where do you aspire to be in ten years’ time? In ten years’ time, I hope to still be working in the industry as a Construction Manager on large 10+ million projects, whilst juggling having a family at home.